Hey guys! It’s been a while. So a few months ago, I was lucky enough to go and see The Nile Project perform live at the Barbican Theatre in London. Being the queen of procrastination that I am, I’ve had this blog post stuck in my drafts for a quite a while now, but I have finally uploaded it! 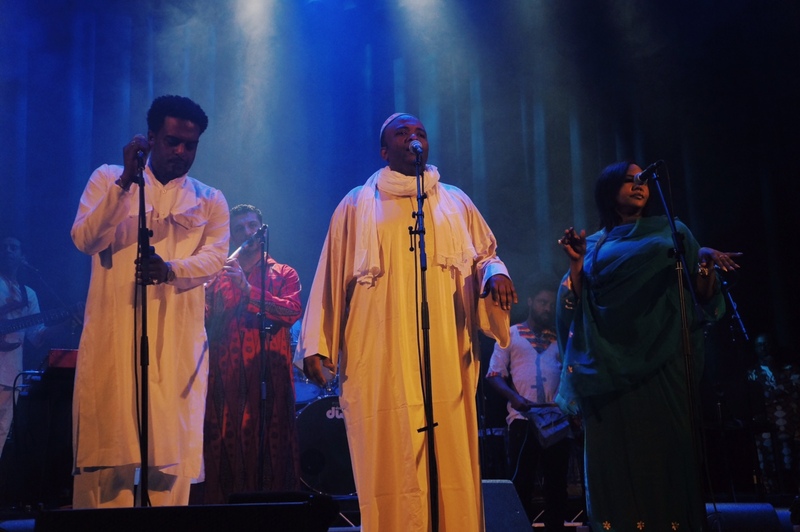 For those of you who don’t know, The Nile Project consists of musicians originating from all 11 countries of the Nile, beautifully presenting the diversity of musical traditions in over 10 languages. It was an experience which I will never forget, and of course, I had to bring my camera along with me. The Blue Nile is of personal significance to me, as it starts in my hometown. My parents originate from Gojjam, a region in Ethiopia which is home to Lake Tana, the source of the Blue Nile. A popular tourist attraction in Ethiopia is the Blue Nile Falls in Bahir Dar, Gojjam, otherwise known as ‘Tis Abay’, meaning ‘great smoke’. 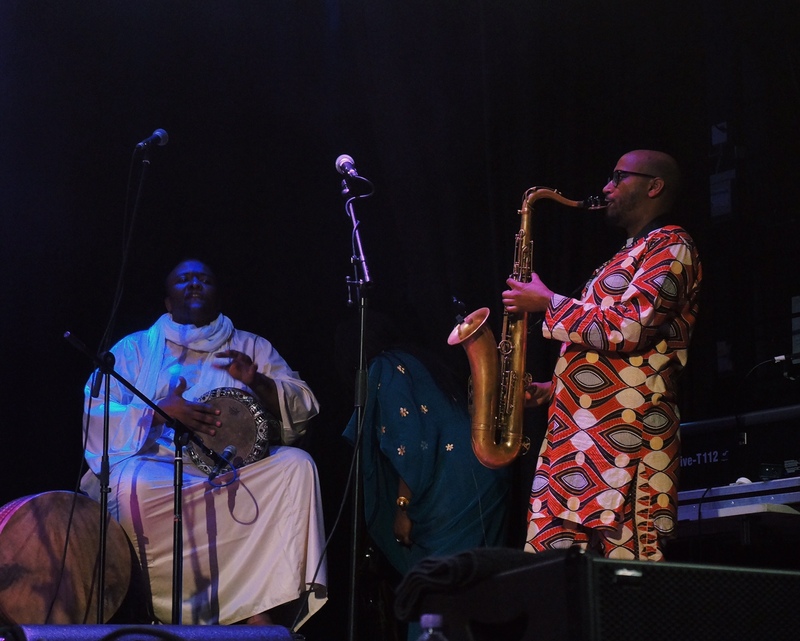 To have such a historical source of water originate in the land of my forefathers is quite a gift, and when listening to the musical pieces at The Nile Project concert, my mind couldn’t help but drift into the past, as if to bring to life the forgotten stories of the Nile. The Nile is a key source of water, transportation, and electricity. However it also a source of conflict, as the 11 countries of the Nile often quarrel over who controls how the water is used. In 2013 for example, Ethiopia’s efforts to use the Nile to construct Africa’s largest hydroelectric plant (The Grand Ethiopian Renaissance Dam), heightened tensions with other Nile countries. Egypt was especially concerned that it would endanger the country’s water availability, even threatening to use ‘military action’. Conflicts like this may suggest that Nile divides rather than unites, an issue which The Nile Project hopes to overcome by uniting artists from all sides of the river. It is a movement which the New York Times describes as ‘a euphoric international coalition’. The Nile Project’s concert combined music from Egypt, Sudan, Ethiopia, Eritrea, Kenya, Uganda, Rwanda, and Burundi, producing the most exquisite sounds from the Nile. As the Ilimiba from Tanzania rhythmically played to the beat of the Kenyan drums, the musical notes angelically flowed from the Egyptian Kawala flute, dancing with the seductive strings of the Masenqo from Ethiopia/Eritrea. The overwhelming array of musical sounds left the entire hall in awe as if we were to absorb every single note. Alongside the beautiful variety of instruments, it was the unique set of vocals performed by each artist which captivated me most, inviting me into a world of rich spices, busy markets, hot sun, and cool seas. I would like to thank The Nile Project for beautifully capturing the richness of one of the oldest places on earth.